Rite Aid has updated their coupon policy, which will hopefully help with any coupon issues you’ve been having since the introduction of the +UP Reward program. 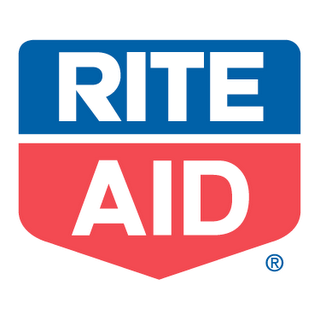 Rite Aid will accept Internet/ print at home coupons up to The equivalent value of $5.00 off. Rite Aid may feature total purchase coupons which discount the total purchase amount based upon meeting specific requirements. For example, $5 off a 525 purchase price threshold coupon. The coupon is valid and in date: only one total purchase coupon per transaction. No more than one “48” Rite Aid valuable coupon, one “49” Rite Aid Manufacturer coupon, and one “5”manufacturer coupon can be used on a single item. Hi! Where can I print this off (and prove that it’s from Rite-Aid)? I would like to be able to use it in our local store. Also, is there something like this for CVS? At the very top of this page right above the Rite Aid label, there is a space marked “print this post.” It will give you a printable page and the prompt to print. I understand that you don’t want to give us the cash but aren’t you getting reimbursed for the use of that coupon?!?!?! Also, if I just purchased the item because I thought it would give me a +Up reward but then realized it was the wrong size or some such error, and I want to purchase the correct size, why can’t the cashier give it back? It is one of the few things that I find frustrating about RA’s policy. Wags & CVS will return the item and give you the cash value of the coupon since they will be getting reimbursed from the manf. The only thing I can figure is some people could/would take advantage of the situation but there are times that it should be allowed, like when the purchase just happened. Just give me back my high $ coupons please! Lol. Here’s a link to the updated Rite Aid coupon policy (April 2012).